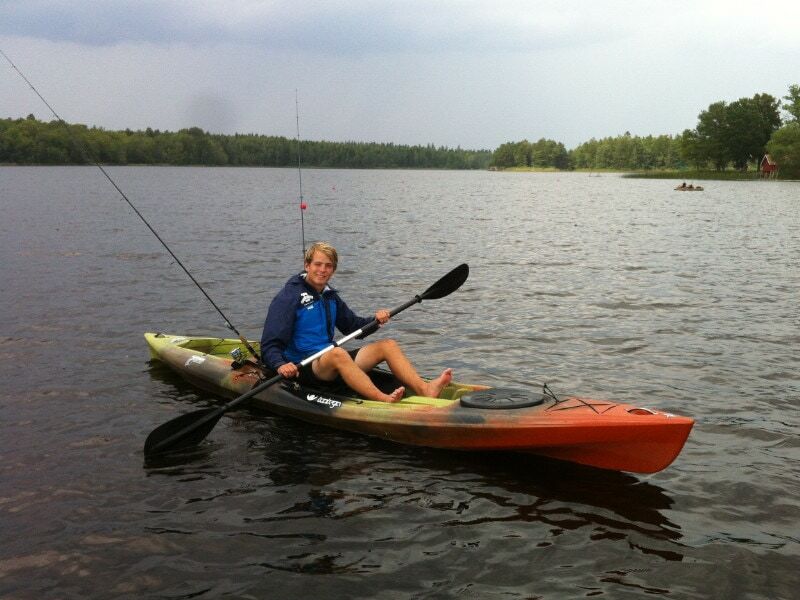 A Guided Fish Kayak tour with a local guide on lake Åsnen. Discover the unique archipelago of lake Åsnen. The lake is about 155 km², with over 1000 islands. It is a shallow lake that guarantees a rich bird life and good fishingwaters. 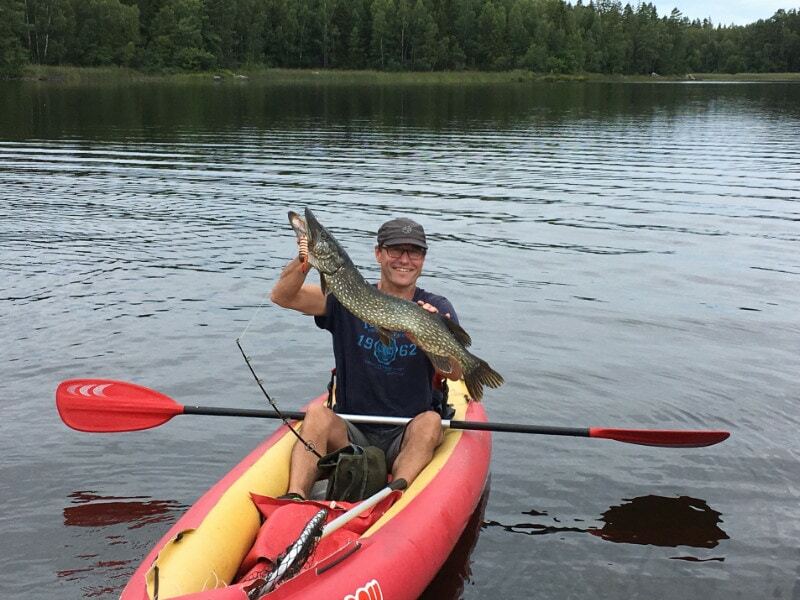 Lake Åsnen is famous for both good Pike- and Zander fishing. 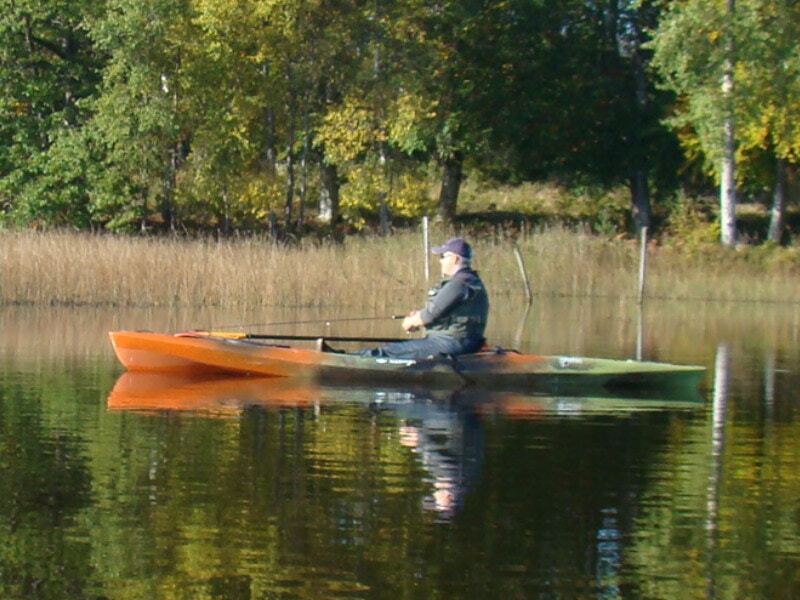 In the summer it is just fantastic to go out with special fish kayaks. It gives you another dimension of fishing, you can go all over the lake even where it is shallow and between small island. Quiet, peacefully you just paddle away and you fish along the way.You will also paddle through the newly opened Åsnen National Park. 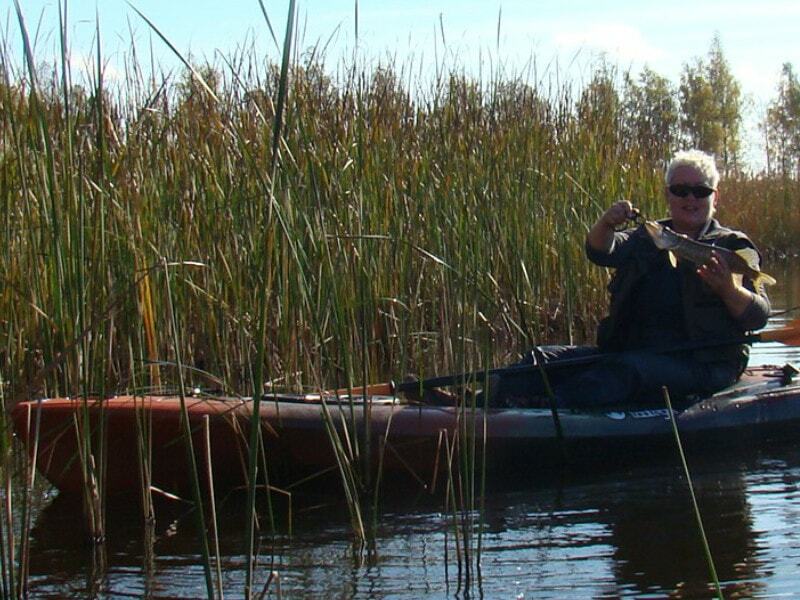 We begin the Fish Kayak tour in the evening. The local guide has the fish kayaks and all the equipment ready, he gives you good instructions before you leave the harbour on Getnö. 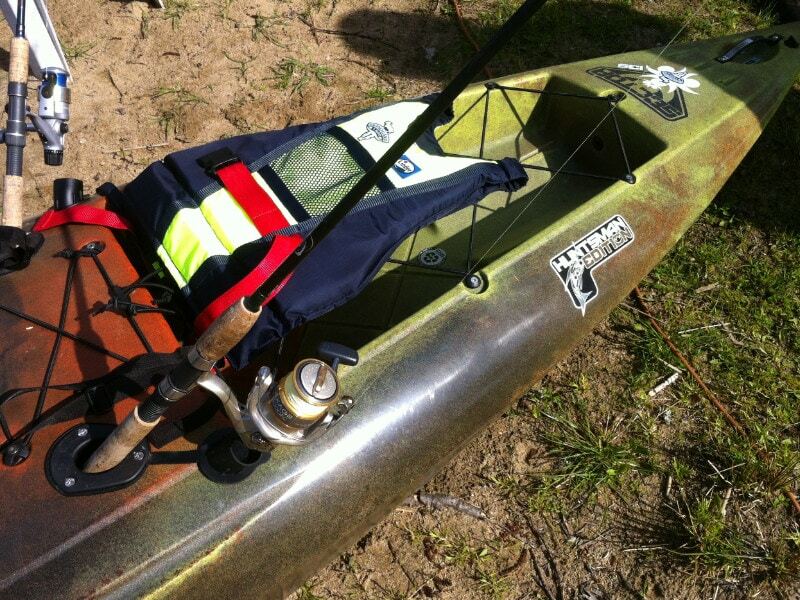 Everybody becomes life jackets and the fish kayaks have 1 set complete fishing equipment for the tour. 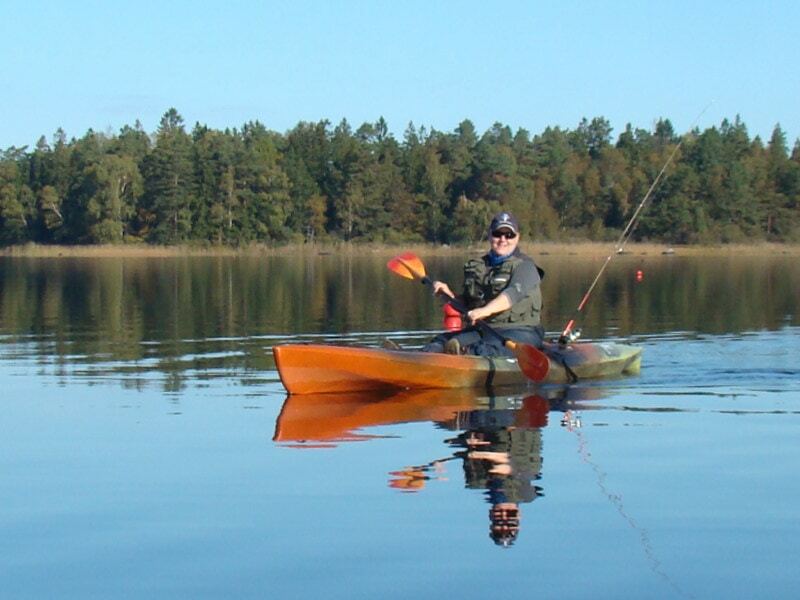 The experienced kayakguide navigates between the different islands around the islands of Getnö. The fishing guide knows the waters as well as the inside of their pockets and will guide you to the “hottest” fishing spots. The fishing method You will do is mostly spinnfishing and also some kayak trolling. Halfway, you will have a break, stretch your legs and enjoy a “Småländsk” evening food on special places on the island of Getnö. You can also enjoy a beautiful sunset from the fish kayak, every evening the sunset is different and magical. The Kayak tour lasts around 4 hours and then you paddle back to the harbour on Getnö. After the tour you can enjoy a nice campfire if you like. We only take small groups with local guide for a more genuine experience and fishing possibilities. Skills: You need to be able to swim.